This article is part of series of service projects focused on helping individuals and families going through chemotherapy. We’ve been working with hospitals to really customize Chemo Care Kits for Kids. 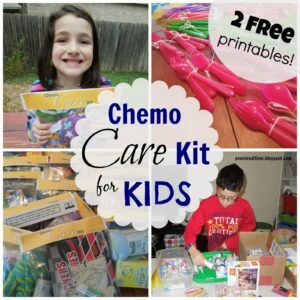 Making chemo care kits for adults or kids is one of the best service projects you can involve your kids in completing. It is a learning experience for everyone on what it can be like to have cancer. It provides needed distraction and comfort to those going through a tough health crisis. 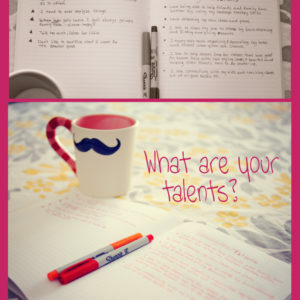 Anyone can make one. 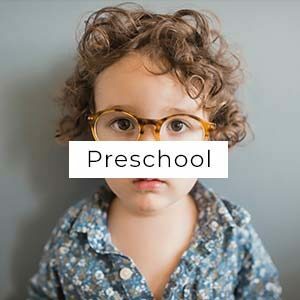 I have helped seniors in high school AND two year olds put together these kits. 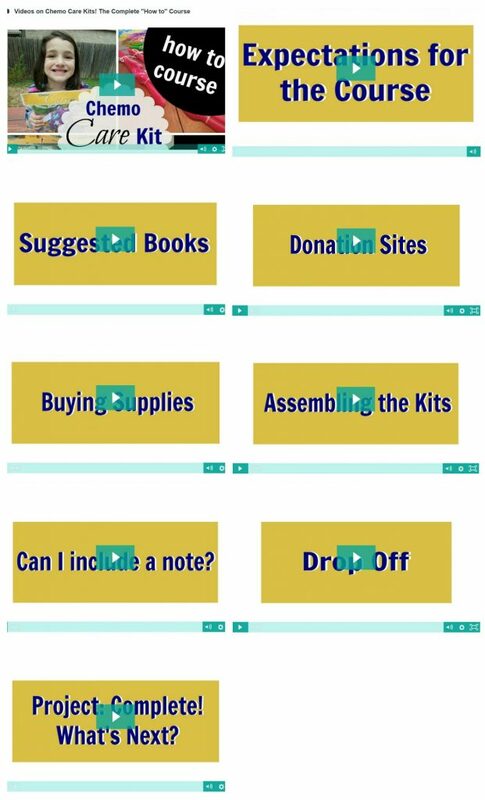 The tricky part to service projects or acts of kindness can be finding a donation site. Not all hospitals or clinics may want your donations, or they may have specific parameters for your service project. To date, we have donated to 5 different oncology units and worked with several individuals who donated to 5 other units. 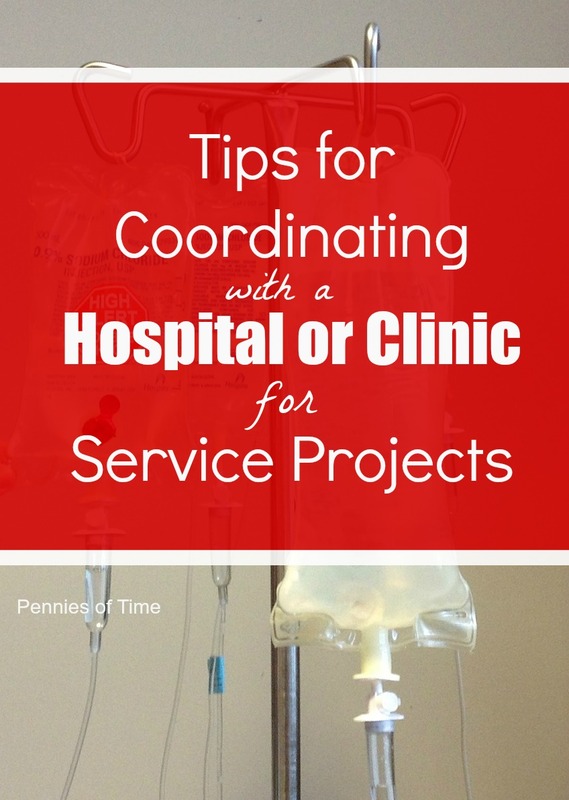 Combining all that we’ve learned, I’d like to share with you how to coordinate with a hospital or clinic. 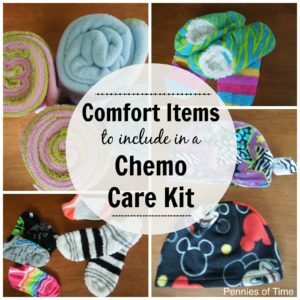 Although this particular post is geared toward Chemo Care Kits, the same tips and rules apply when donating anything to a hospital or clinic. First find a donation site. Whether you are donating to an adult oncology unit or pediatric oncology unit, you might need to call a couple of them before you find THE Place to donate. Don’t be discouraged by that. 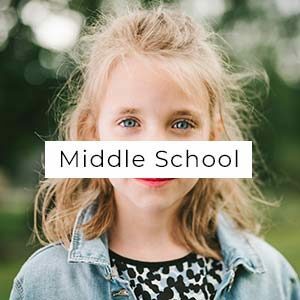 If kids are working on this project, when you call the hospital, avoid using the phrases “young kids” or “pre-school kids.” Those words can throw up all kinds of red flags. 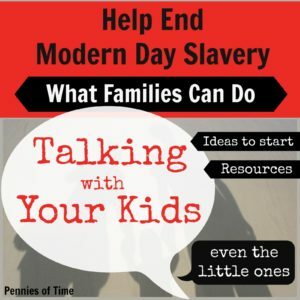 Use the words: families, youth volunteers, or elementary aged kids, if appropriate. Be confident in calling and ask for the Child Life Specialist (only in pediatric oncology sites) or for the Director that coordinates volunteer efforts. Ask to donate to the clinic, not directly to the patients. Staff don’t really want you interacting with their patients. That is completely the correct thing to do. Patients need their privacy and the opportunity to not catch whatever germs we may give them by interacting. Note: Offering to donate for distribution to “newly diagnosed patients” was one way I was able to start the conversation. 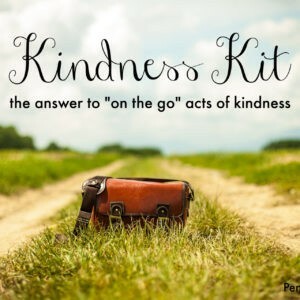 Be prepared to share the items in the kits, even offer to email the contact person the post from Pennies of Time on what you want to do. Know that all of the items need to be new. On donating homemade items like blankets and caps. Please ask if homemade items are okay. Remember that we are trying to bring cheer to people that are sick and are very susceptible to germs. If the donation site does not allow homemade items, don’t be offended. They are just looking out for their patients’ vulnerability. If you plan to put in a message, ask if any other language than English is used by the patients. One clinic was thrilled when we provided one side in English and the other side in Spanish. Once the project is approved, coordinate a donation date and time. Do not leave it up to a last minute donation drop-off. 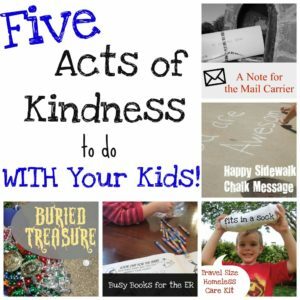 You and your kids have gone through effort to complete this service project. Make sure that you take time to explain to the kids where you are going and what behavior is appropriate while they are there. A preplanned donation time also ensures that the hospital or clinic is properly staffed to accept your donation. 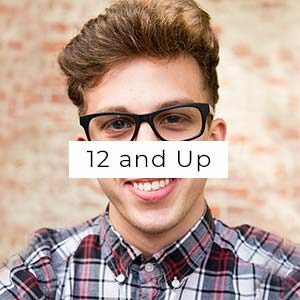 Follow-up with an email outlining your plan to make sure there are no misunderstandings. 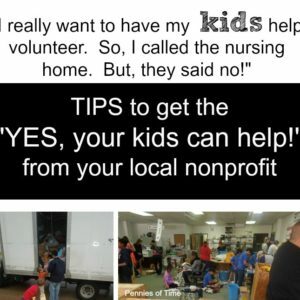 On the day before the donation, call to confirm that someone will be there to accept the donation and be excited to share with your kids how awesome they are in putting together the service project. “Remember the siblings.” This was feedback from one of the hospitals. If your budget allows, put in extra items that can be given to the patients’ siblings. Often, the whole family comes for the chemo treatment. Adding something in for the little sister can be a welcome distraction. I know that this may seem like too many steps. 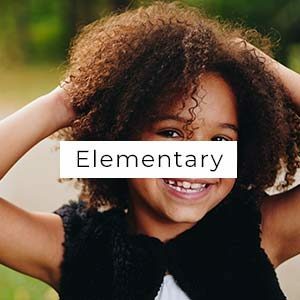 At the same time, once you find a welcoming donation site, it is a place that you can go to again and again with opportunities for your kids to serve. 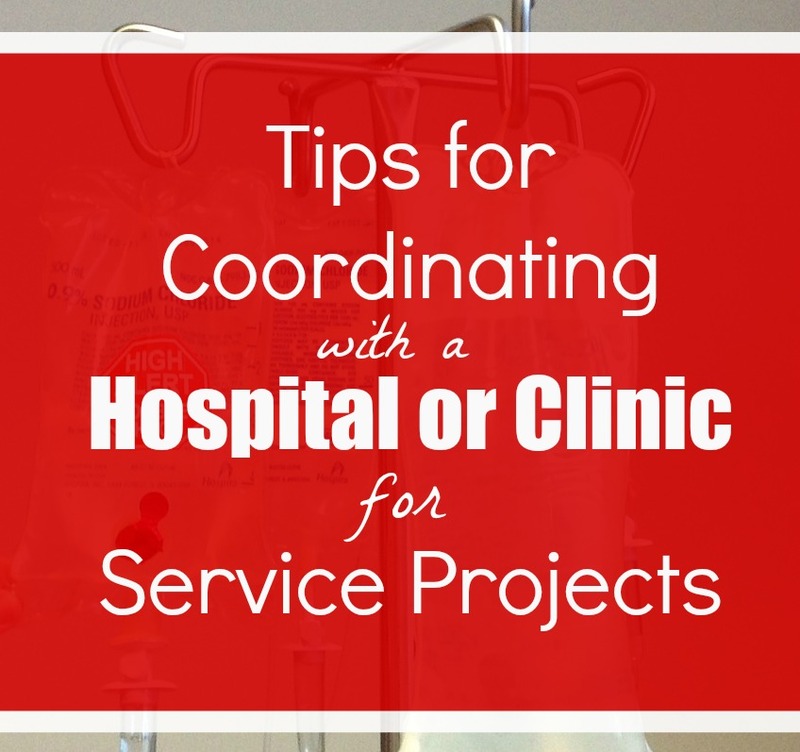 What have you found to be helpful when coordinating service projects with hospitals or clinics?